Attention side sleepers: Regardless of whether sports are part of your active lifestyle or limited to your dreams, catching ZZZs with a pillow-gone-flat can predispose you to shoulder injuries similar to those once suffered by elite athletes Alshon Jeffery, Kobe Bryant and Maria Sharapova. Nightly use of your hands or a shoulder to compensate for a pillow that is too flat to keep your head, neck and spine comfortably aligned while you sleep, places stress on your rotator cuff – the bundle of tendons that surround and keep your shoulder joint in place. “People will be surprised to know that many rotator cuff tears originate with improper sleep habits,” says Dr. Gregory Primus, an orthopedic surgeon at Advocate Trinity Hospital in Chicago. 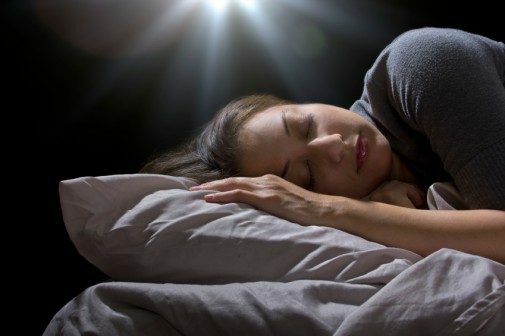 Over time, sleeping on the same side and in the same position with an improper pillow can place enough pressure on the shoulder tendons and underlying bone to cause a tear, Dr. Primus says. Fortunately addressing poor sleep habits minimizes wear and tear on the rotator cuff and making muscles more susceptible to injury, he says. Dr. Primus advises side sleepers to choose a firm pillow with enough cushion to comfortably lift your ear slightly above the shoulder, without needing your hands to elevate your head or a shoulder to support the pillow under your head. The best pillow for side sleepers will vary, depending on the sleeper’s height, weight and body type. “Finding the right pillow for you may take some trial and error but the health benefits are worth it,” he says, adding that the wrong pillow can cause headaches, neck pain and allergic reactions. Additionally, Dr. Primus suggests alternating between sleeping on your left and right sides to minimize potentially damaging pressure on your shoulders. Minor shoulder pain can be treated at home with cold packs, exercise and if necessary, over-the-counter pain medications. Dr. Primus warns that some rotator cuff injuries are degenerative and caused by long-term overuse. He recommends seeing your doctor for shoulder pain that is severe, restricts movement of your arm or lasts longer than four weeks, despite brief bouts of rest. ← What’s this nurse’s secret weapon for faster deliveries?